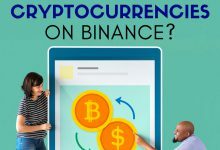 Home/Binance/How do I Buy Bitcoin (BTC) on Binance w/ My Credit Card? We take a closer look at this new Binance most-requested feature. A fascinating fusion of coming-of-age exchange ecosystem, digital assets and trading platform, Binance stands apart from other cryptocurrency exchanges. Chang Peng Zhao, the CEO of Binance has created a seismic impact on the trend of cryptocurrencies since the late 2017. It started with a literal bang, as Binance became the world’s most active Cryptocurrency exchange with over a billion dollars of Cryptocurrency traded within 24 hours. They also saw massive registrations that led to a backlog of KYC verification which saw them closing off to new registrants. 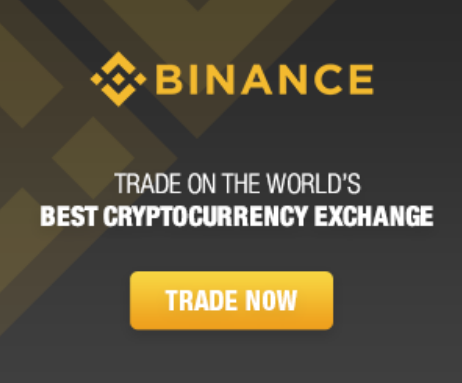 By registering your Binance account today, you will secure your access to one of their most requested-for feature since its inception. 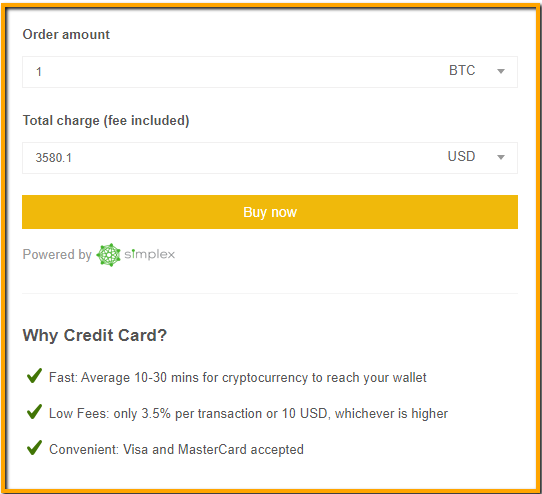 With this feature, you can instantly use your credit or debit card and purchase Bitcoin (BTC) in USD or EUR. Meanwhile, If you are into trading cryptocurrencies on Binance, this will be highly convenient for you now. This blog post will walk you through the entire process of buying Bitcoin (BTC) without leaving the safety and convenience of your Binance account. *A heads-up! * Your first attempt to try this may take up to 30 minutes or more unless you prepare everything you need beforehand. You will no longer need them for subsequent purchases. Binance is leading the race as one of the most admired cryptocurrency exchanges in the world. Not only that, they did it in just 1.5 years. The hallmark of Binance’s popularity is its liquidity, which continues to grow even in a bear market. The company made $446 million in profits in the 2018 bear market. CEO, Changpeng Zhao reiterated that Binance will survive for well over 100 years. “Binance is very healthy financially and very stable in terms of team… So our aim is much longer than another year, our aim is 10, 50, 100 years, so we’ll be here for a while. 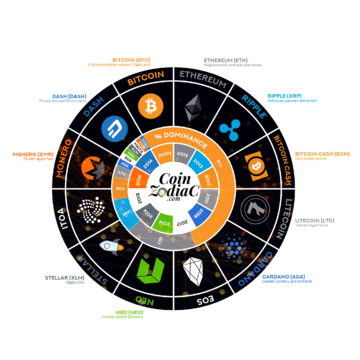 Their extensive list of Altcoins also attracts plenty of day-time traders and speculators. 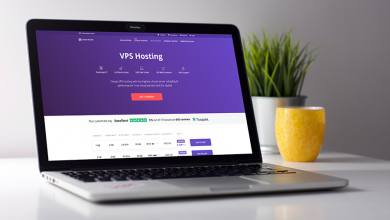 Small-time players can also rejoice at the fact that “No verification” is needed for withdrawals of up to 2 BTC per day. Open in a New Tab : Click on ‘Register‘ to create a New Account. Then Fill in your email and the password which you will use for your Binance login. 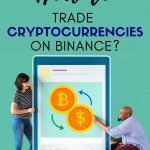 To see the complete steps, refer to this blog post: How do I Trade Cryptocurrencies on Binance? 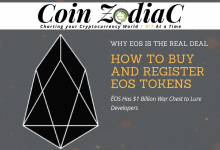 This feature is updated for February 2019. 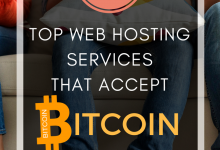 Other outdated blogs will tell you that you can only buy Bitcoin (BTC) on Binance by first depositing some other form of Altcoin. That is misinformation, and you’re essentially not buying BTC, but just trading or exchanging one coin for another. 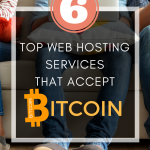 It might surprise you to learn that that is known as crypto-to-crypto exchange. Binance has only recently started to support fiat-to-crypto. If you are the first to find out about this, congratulations! It’s that very focus early on that sets Binance apart. Meanwhile, those early specializations in crypto-to-crypto became a way to examining the perils and pitfalls of dabbling with fiat currency as many exchanges soon found trouble with the authorities. 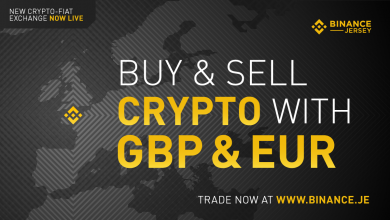 With the vast majority of cryptocurrencies listed on Binance today, having an account here means that it gives everyone the greatest amount of flexibility. 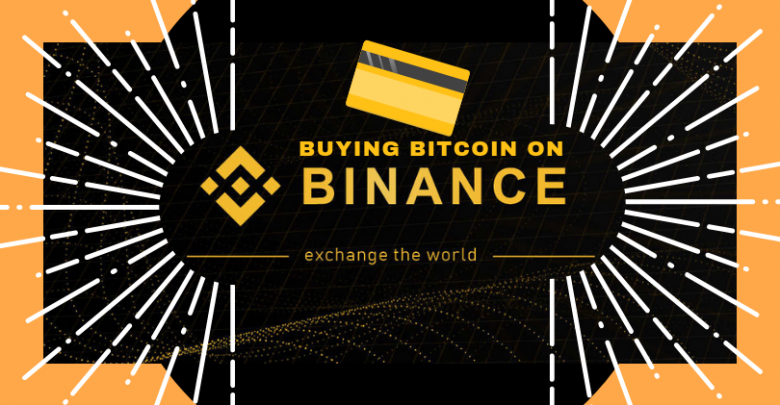 Once you make you purchase directly on Binance, you get the option and freedom of trading with a huge selection of Altcoins. In order to start buying with your Credit card, go to the navigation bar at the top of the website and click Funds > Buy with credit card. 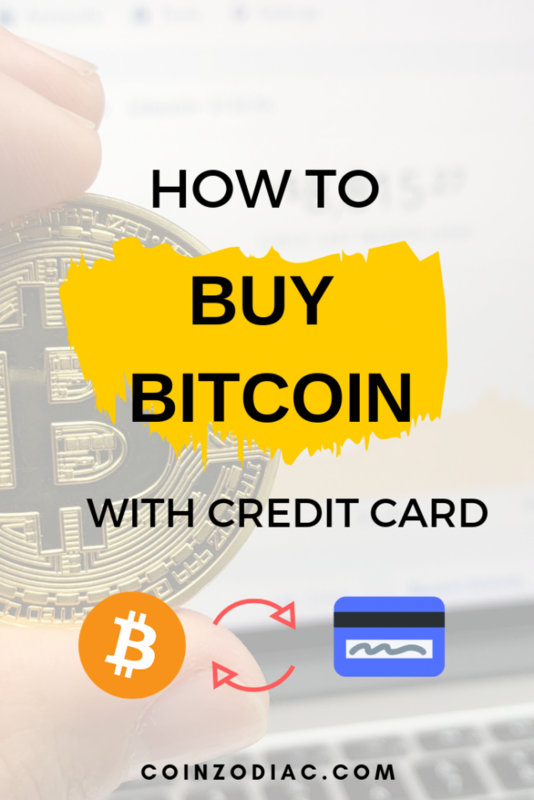 Tip 1: For your first purchase, it is recommended to start with a small amount of BTC just to be safe. 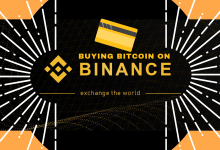 Once the small amount reaches your Binance account, you can proceed to purchase more frequently without the anxiety of waiting for your coins to be deposited into your Binance account. Tip 2: Depositing cryptocurrencies from one exchange to Binance can sometimes be limited by restrictions and plagued with withdrawal fees. We urge you to enjoy the convenience of this new Binance feature so that you can deposit BTC directly to your wallet. 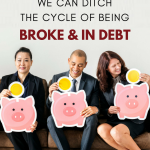 After Clicking Buy with credit card you will be directed to this page. 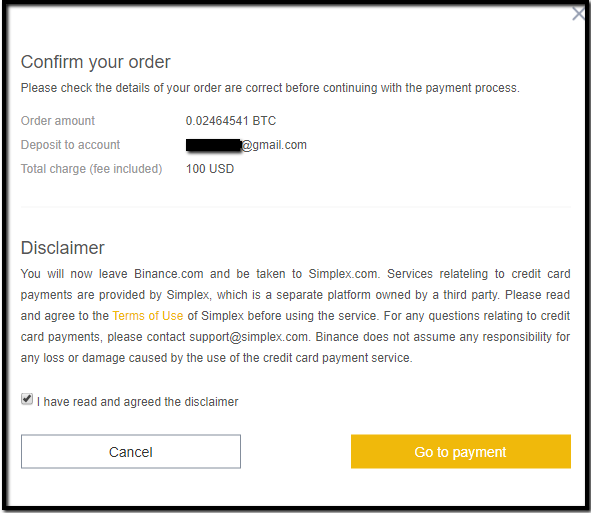 Once payment is completed, you can check your payment status on Simplex and deposit history on Binance. Can I buy half a Bitcoin? Yes! You can even buy a fraction of a BTC. 1 bitcoin consists of 100 000 000 Satoshi. You can toggle the base currency of your credit card between USD or EUR. Total Charge is the Payment amount including fees for the service provided and the handling fee. Read the disclaimer and tick to agree the terms and conditions. 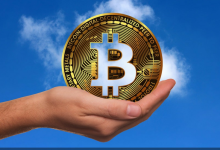 Tip: If you plan to buy a considerable amount, try not to purchase all your BTC at once – instead, consider buying the first time at a lower price point. This way, you can feel more confident buying a larger amount the second time. 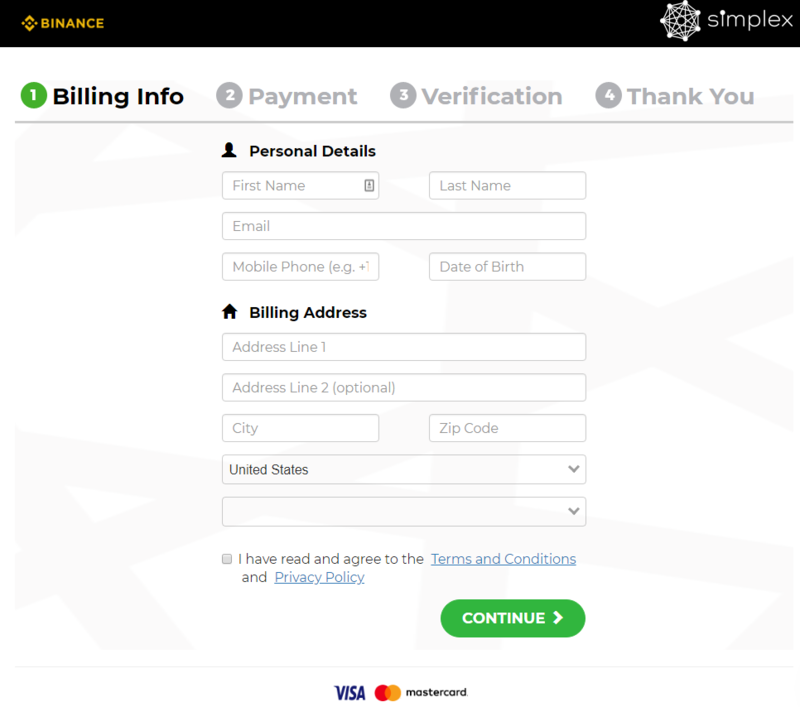 You will be directed to Simplex: https://checkout.simplexcc.com/payments/new the merchant provider. Fill in the required information and then verify the email and Phone number your provided. A Verification code will be sent to your phone. Enter the 4-digit code you received on your mobile phone. You will also receive a ‘Verification link‘ via the email you provided. After verifying your details, click continue. Now, Fill in your valid credit card information. Most of major credit and debit cards are accepted that bear the VISA or MasterCard logo. Make sure your card details match the billing address you entered in. At this stage, your card won’t be charged yet – Clicking on “Pay Now” will bring you to ID verification. You will now have to verify your identity either by taking a picture of yourself holding the credit card you just used for payment or uploading your government issued ID. Your name and the first and last four digits of your card number must be visible, but you can cover the 8 middle digits with your fingers. Upload each side of a document in order. You can consider uploading a second ID, or more in order to quicken the process. If everything is in order, your BTC should be credited to your Binance account in 20 minutes or less. 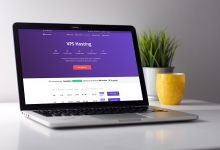 Depending on various factors including the congestion of the network, your transaction may take up to an hour to be confirmed. Always buy a smaller amount if it’s your first time. Congratulations, you’ve just completed your first Bitcoin (BTC) buy order on Binance! 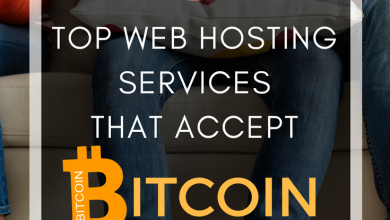 Sure there are plenty of alternatives to Binance – in fact, here’s a list of all the exchanges where you can buy BTC as well. 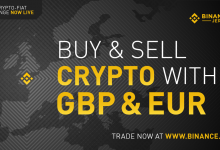 But Binance is by far the safest and most liquid reputable exchange I have ever come across. You can be certain that if I were to determine a major cryptocurrency worth investing, I will login into my Binance Account. While Binance is still accepting new users at the moment. At peak times, just like last December, they stopped accepting new applicants when there were over 100,000 people trying to register all within a day. 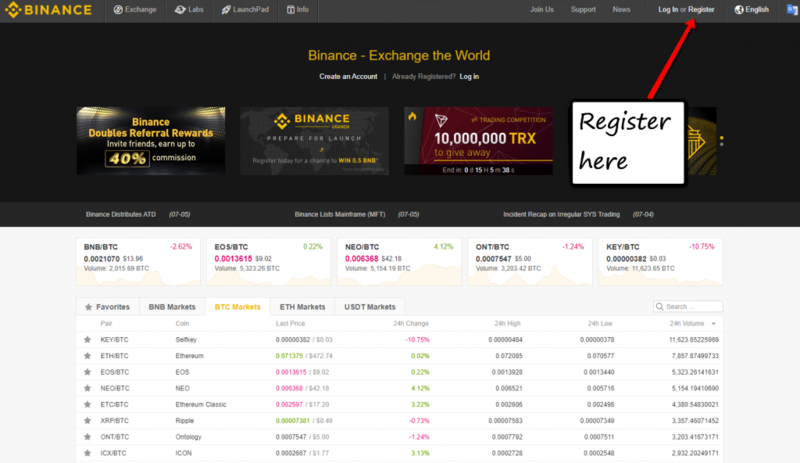 So It is wise to first register an account to keep your options open, I recommend doing it now by registering a Binance account right here even if you’re not using it anytime soon – having a Binance account will be as important as having a bank account today. 20 years ago, nobody thought anyone could do business and make money on the internet. Today its so common that even kids on YouTube can try and make a professional career out of. Don’t get left behind this time. 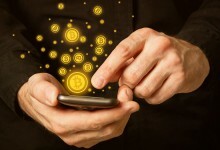 Learn about Bitcoin, the technology and why it is democratizing money. 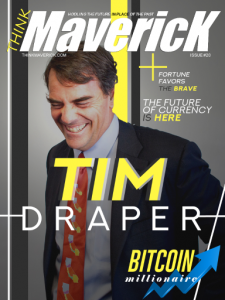 The next Cryptocurrency fever is just around the corner… Most people are only attracted at the high point, few are smart enough to realize this is the best time to get in. 2 Factor Authentication (2FA) is a must! Store your valuable Bitcoin in a Ledger Nano S.
Do not take a bet you cannot afford to lose. Impatience, thinking you can be rich overnight is faulty thinking. The Crypto Market is a device for transferring money from the impatient to the patient. HODL and don’t panic on the dips. Don’t listen to FUDs and Mass media bulletins. The more research you do, the stronger your fundamentals you hold, the more money you will make. – Good luck!